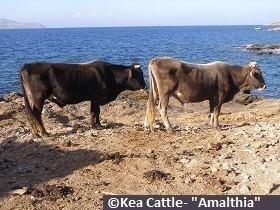 We are the Greek society for the preservation of autocthonous breeds of agricultural and domestic animals. Some of "Amalthia's" current projects. January 2017 saw the arrival in Greece, of internationally renowned painter Jason Roberts from Melbourne, Australia. Jason Roberts has established a global reputation thanks to his paintings themed mainly on domestic animals and rural landscapes. He has also received important commissions to paint Royal Ascot races in the UK, Indian livestock, and domestic and wild and domestic animals for the Sutlan of Oman. His work has been celebrated in solo and group art exhibitions in Melbourne, London, Tokyo, New York, Hong Kong and elsewhere. His work can be viewed in http://www.jasonrobertsartist.com/greece. 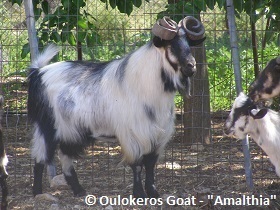 Jason Roberts will remain in Greece almost for the entire year, hosted by “Amalthia” (Greek Rare Breeds Preservation Society www.amalthia.org ) and its members, chiefly painting Greek livestock breeds in their natural environment. 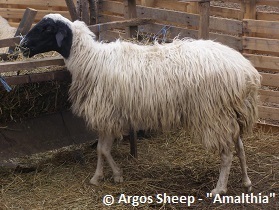 With this purpose in mind, he will travel to most of Mainland Greece and in many islands, where the last representatives of Greek rare livestock breeds threatened with extinction, can be found. A number of exhibitions and publications will result from Roberts’s work in Greece. Their aim will be to place on the international spotlight, the richness of Greek nature, the value of native Greek farm animals and especially the rare Greek livestock breeds threatened with extinction, thus helping in raising awareness and in their conservation.